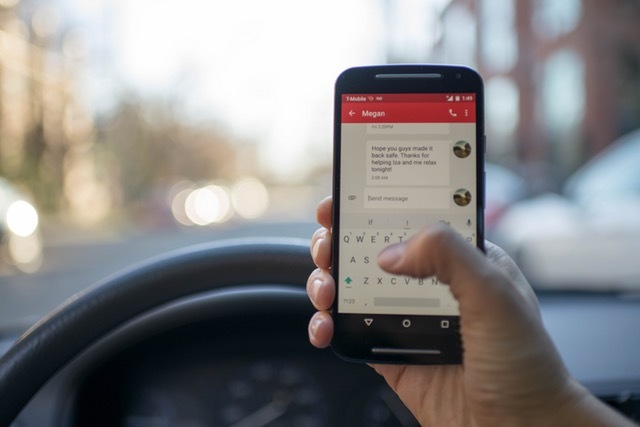 According to research by the National Highway Traffic Safety Administration, distracted or inattentive driving has become a national epidemic, accounting for an estimated 3,179 deaths and 431,000 injuries in 2014. In 2015, there were approximately 6,296,000 motor vehicle crashes in the United States. In these crashes, 1.7 million people were injured and 32,166 people were killed. This was a 3.8% increase in accidents from 2014. 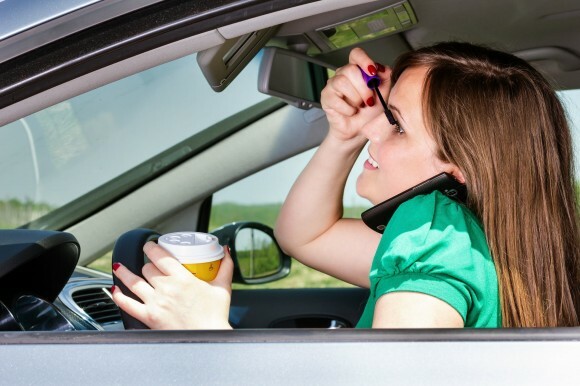 10% of all drivers 15 to 19 year old involved in fatal crashes were reported as distracted at the time of the crashes. 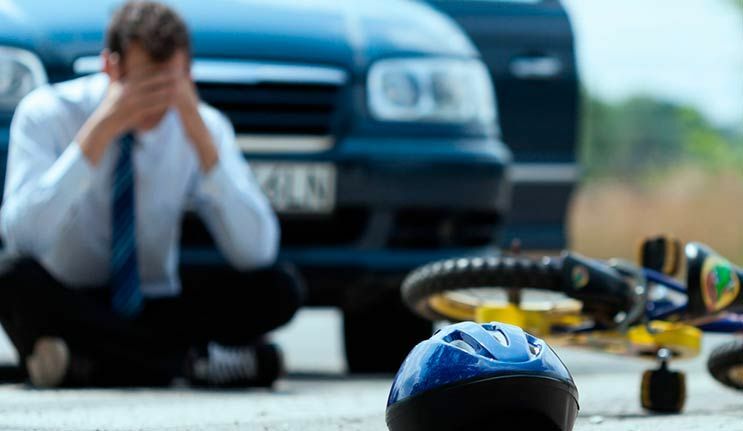 Motor vehicle crashes are the leading cause of death for U.S. teens. In 2013, 2,163 teens in the United States ages 16-19 were killed and 243,243 were treated in emergency departments for injuries suffered in motor vehicle crashes. Closer to home, in Iowa 14 to 24 year olds represent about 17% of licensed drivers but suffer 40% of all fatal and serious traffic injuries. Between 2004 and 2014, 622 teenagers died in vehicle crashes. 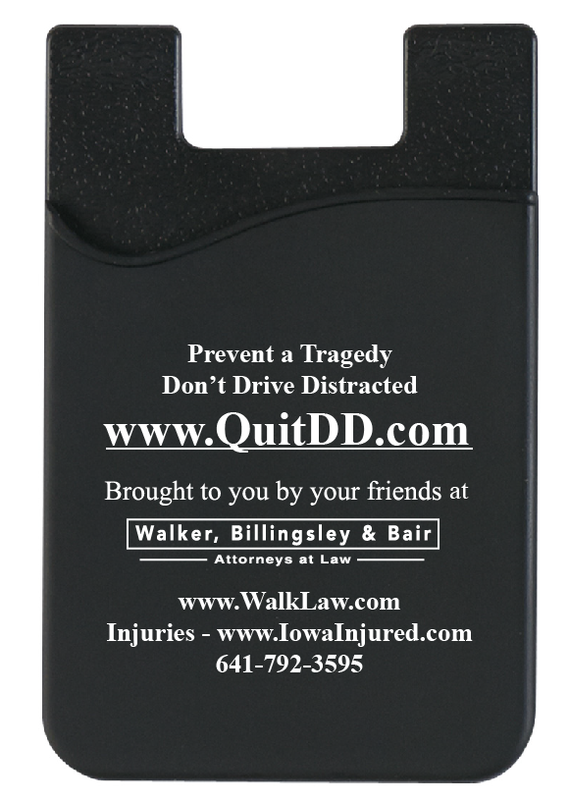 We offer FREE cell phone wallets to remind you to quit distracted driving. To request yours today, click on the wallet. 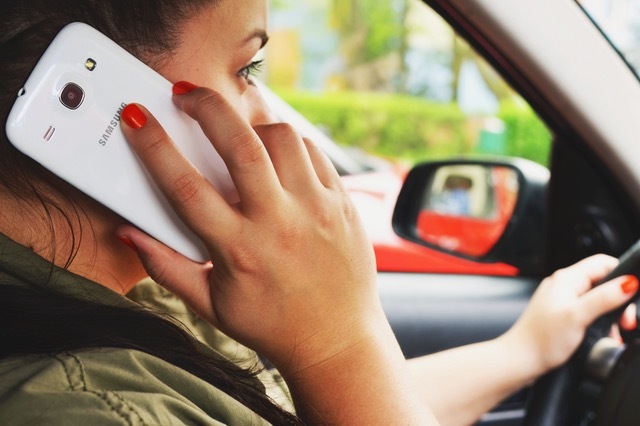 We encourage all Iowans to stop texting and talking on a cell phone while driving. We offer a cell phone wallet to attach to your phone to remind you not to drive distracted. To learn more, watch Attorney Corey Walker's Interview on KCCI about distracted driving and IowaFADD, click here. We are a group of local concerned citizens who have seen firsthand tragedies caused by texting and distracted driving. Currently, members of our group are Corey and Beth Walker (local attorneys), Jeff Maki (a Newton area insurance agent) and Dr. Jay Koenen (a Newton Chiropractor). We want to make a difference in the lives of local residents because if we prevent even one tragedy the money spent will be well worth it. This community project was the idea of Iowa personal injury attorney Corey Walker who has represented hundreds of Iowans injured and killed in car accidents. He has seen an alarming trend of car crashes caused by distracted driving such as texting while driving and talking on cells phones while driving. He decided to do something about this problem and formed a group of concerned citizens to develop and finance this community safety project. Yes, personal injury lawyers care about their community and can and do help people. If you would like to receive a FREE cell phone wallet, click on the wallet above or call Marie at 641-792-3595 and ask her to send it out.